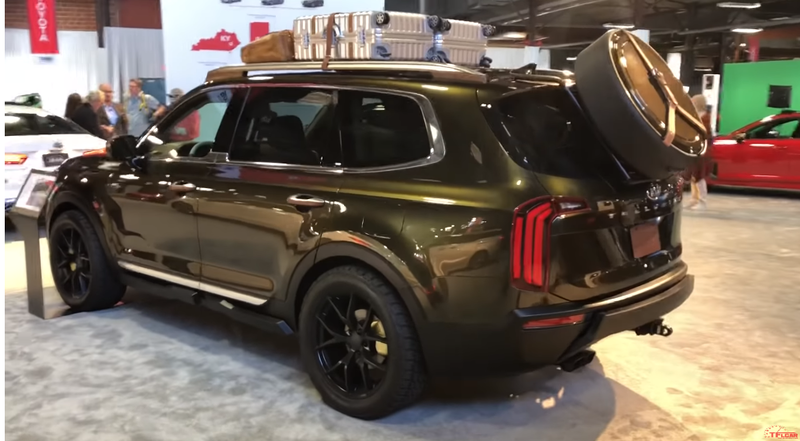 Following the surprising appearance of Kia’s newest SUV, the upcoming Telluride, at this year’s New York Fashion Week9, the brand known for taking chances returns to SEMA with an outdoor activation that’s bigger and better than ever, eclipsing Kia’s 2017 SEMA drifting experience. Designed as a thrill ride for those brave enough to jump into the passenger seats of four highly-modified Tellurides, Kia’s 2018 “Torque Track,” located just outside the sprawling Las Vegas Convention Center (Orange lot), promises to leave a lasting impression and will be running through Thursday. The custom off-road course puts these Tellurides through their paces, including a jump, mountain climb and water incursion – all showcasing their off-roading potential. Meanwhile, back by popular demand, professional Formula Drift drivers will provide ride-alongs, granting those with an adrenaline addiction the opportunity to be pinned against Stinger GT’s race-inspired seats. Drivers will effortlessly slide customized Stinger GTs around corners and launch the cars from 0-to-60 mph before bringing them to a full stop with the vehicles’ high-performance Brembo brakes. 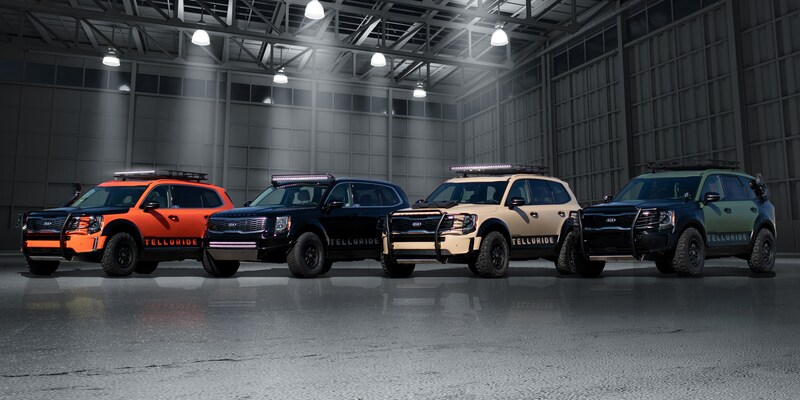 Kia partnered with LGE-CTS Motorsports to conceive the four special-built Tellurides and each vehicle has its own distinctive design and style. Themed after different off-road environments, all four are powered by a stout V6 engine with all-wheel drive. The interiors showcase Telluride’s exquisite materials and craftsmanship and offer a quiet respite from the hectic SEMA show experience. Set to debut in its production form at the upcoming 2019 North American International Auto Show, the 8-occupant Telluride is planned to go on sale in the U.S. in the first half of next year. One of the most hostile off-road environments lies just outside the glittering lights of Las Vegas and if your vehicle isn’t up to the challenge, it can mean serious consequences. Fortunately, the Telluride Desert Drifter is up to the test. Don’t let the name fool you; “gliding” south of the border through Mexico’s legendary off-road countryside simply doesn’t happen. But properly equipped with some very tough gear, the Telluride Baja Glider makes a tough drive almost like a walk in the park. Regardless of each Telluride’s off-road personality, all four have highly modified suspensions that have been purpose-built to handle the rigors of multiple days of abuse on the Kia Torque Track.